Across the globe and across mammalian species—from deer to coyotes and from tigers to wild boar—animals are becoming more nocturnal. Learn more about the important implications for human-animal behavior. Idaho researchers and their international collaborators use the Programme on Ecosystem Change and Society (PECS) approach to investigate how different social-ecological contexts influence people's perceptions of ecosystem services. Researchers evaluate whether or how N2 fixation and denitrification co-occur in stream ecosystems across a gradient of DIN concentrations and how the co-occurrence could be facilitated by key environmental variables. 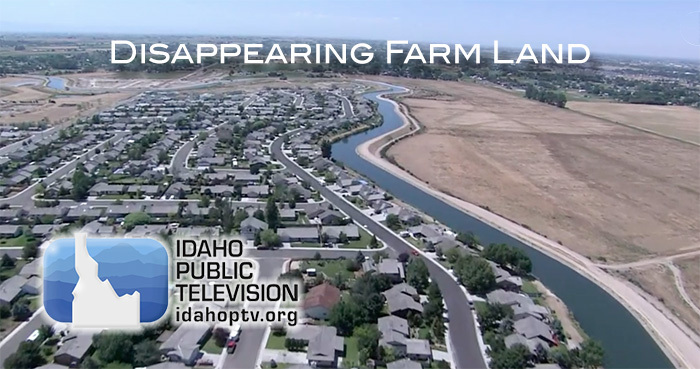 Researchers at Boise State University predict the Treasure Valley’s population could grow by as much as 160 percent by the turn of the next century and much of that growth will come at the expense of agricultural land. Watch the multi-part series. MILES is a National Science Foundation (NSF) Research Infrastructure Improvement award managed by Idaho EPSCoR. The $20M award for years 2013-2018 is shared by Boise State University, Idaho State University and University of Idaho. The primary goals of the MILES project are to advance social-ecological-systems (SES) science within Idaho, while building capacity, sustainable infrastructure, trans-disciplinary research collaborations, educating a dynamic workforce, and developing partnerships with stakeholders. Learn more about MILES or see an introduction to Ecosystem Services. MILES scientists study the relationship between humans and their natural environment, in particular the use of ecosystem services provided by nature. More specifically, we focus on the margins of mid-sized cities to characterize how the use of ecosystem services changes as these communities grow in space and time. Our goal is to identify the drivers of change, create models to predict future use of ecosystem services, and then inform decision-makers, such as city and county governments or federal land agencies, of their future options. What are the regional patterns of ecosystem services? How do society and climate impact ecosystem services? How will ecosystems and their services change into the future? From water management to food production, and from species habitats to recreation/tourism, discover how MILES researchers are studying ecosystem services. The MILES project is generating a wide variety of research products, including: visualizations, peer-reviewed papers, student/faculty posters, project data/metadata, and public television videos. The work of MILES researchers is also leading to new grant proposals and external funding. Made annually, these awards provide internal seed funding to support collaborative SES science related to MILES. ‌ See a list of projects funded by Idaho EPSCoR's ISEED program. MILES is training a diverse workforce for Idaho's industry, businesses, and government agencies. We provide interdisciplinary training and mentorship, and teach students to be valuable team members. Education occurs both in and out of the classroom where students learn to be responsible, independent problem solvers. Recognizing the value of gender- and ethnic-diversity to our future, MILES students include a large number of women and under-represented minorities. Furthermore, MILES provides outreach to K-12 teachers to foster SES learning in pre-college classrooms. Idaho EPSCoR MILES can help you access comprehensive career information, resources and services to help you make successful education and career decisions. See a list of student resources on our Workforce Development page. The MURI program is designed to engage undergraduates in the science, technology, engineering, and mathematics (STEM) fields. Each student receives hands-on, paid summer or academic year research experiences, supervised by a faculty member or graduate student, where they study topics broadly related to the MILES program. After completing the internship, a majority of undergraduates say they want to pursue an advanced degree. More than 300 students have participated in the MURI program. Graduate students receive funding and pursue M.S. or Ph.D. degrees in a MILES-related topic. 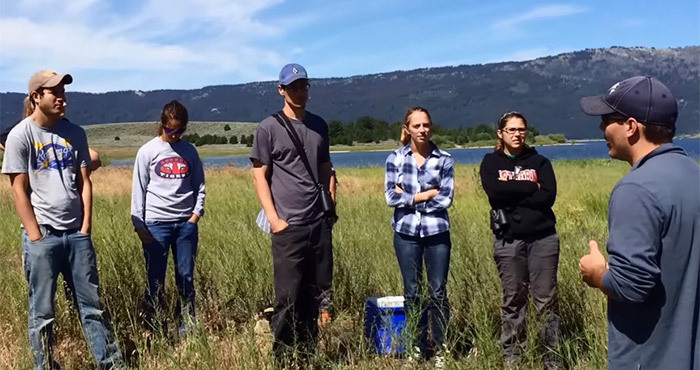 Supervised by an interdisciplinary team of professors, these students enter the workforce with a unique skill set and understanding of coupled human and natural systems. Within the first 3 years of the MILES project, 44 graduate students have participated. K-12 teachers across Idaho can participate in week-long Adventure Learning workshops. Hosted annually during the summer at each of the 3 universities, Adventure Learning provides knowledge and instructional materials so that teachers can introduce modern concepts of Ecosystem Services to multiple cohorts of pre-college students. Teachers blog about their experiences and share resources and lesson plans. To date, ~240 teachers have participated in MILES Adventure Learning workshops. The MILES Ambassador Program seeks to increase the participation of 2- and 4-year Idaho colleges in EPSCoR Research Infrastructure Improvement activities. Ambassadors contribute to the STEM pipeline for research and education and promote Idaho EPSCoR's diversity and workforce development goals by recruiting students and faculty for MURI, and high-school teachers for Adventure Learning. As part of efforts to support STEM education, Idaho EPSCoR established the Idaho Diversity Network. The Network fosters communication across campuses to encourage the formation and dissemination of new ideas, values, and learning, and provides leadership to carry out integrative activities. The Network involves Idaho's 3 public universities and 2- and 4-year colleges and assists in creating sustainable partnerships, and strengthening recruitment and retention efforts, particularly for underrepresented minorities, women, and persons with disabilities. Through MILES, a significant number of Research Infrastructure Improvements have been achieved. We've hired new interdisciplinary faculty, created new data management protocols, adopted innovative technologies, and leveraged MILES SES research to obtain additional funding for new proposals. Additionally, MILES researchers have forged new partnerships with local communities, agencies, and stakeholders. Resources invested in infrastructure are helping to build a sustainable environment for world-class research, facilities, and scientific expertise. MILES introduces significant data interoperability challenges and opportunities related to modeling and integrating diverse data. The CI-Visualization ISEED project launched a highly innovative, creative and cross-institutional investigation into effective visualization strategies for ecosystem services in Idaho. 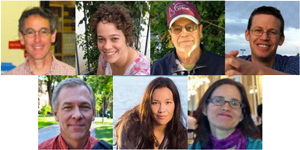 Seven new research faculty with diverse expertise have been hired across the state to expand Idaho's capacity to analyze social-ecological systems. MILES researchers are extending their capacity to study complex social-ecological processes through pursuit of external funding. 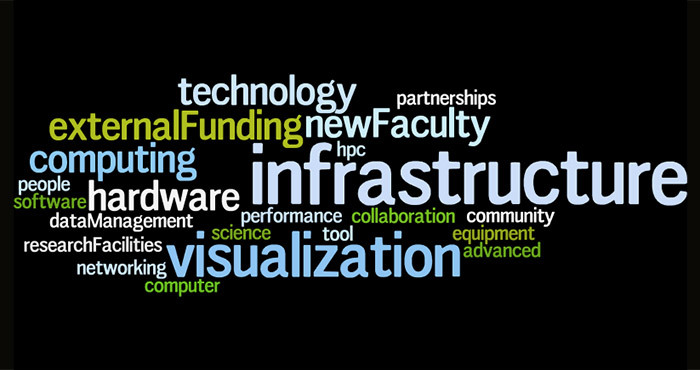 See a select list of funded proposals. The EPSCoR MILES grant helped to establish the Human-Environment Systems Initiative and is supporting the development of the Institute for STEM and Diversity Initiatives. The ISU Center for Ecological Research and Education (CERE), a state board-approved Research Center, will provide a sustainable home for MILES scientists and students beyond the current NSF award. Also leveraged by MILES and funded by the ISU Office of Research is the new Integrated Research Center, providing a designated space for students, staff and faculty to collaborate on shared research interests and use advanced technology. 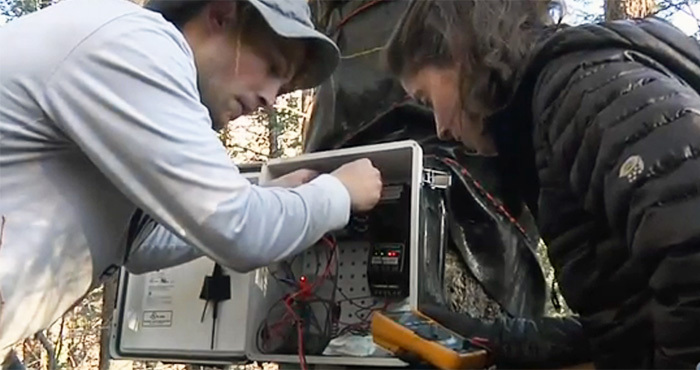 The Lake Social Ecological Systems Lab (LaSES) is a world-class research facility at UI Cd'A that addresses the pressing social and ecological questions confronting lakes in north Idaho, the region and beyond. The Northwest Knowledge Network (NKN), a unit within the Office of Research and Economic Development, receives support from Idaho EPSCoR to build data management infrastructure that helps enable multi-disciplinary research. NKN also provides data storage and web development support for MILES.